I made this for breakfast today. It was very satisfying. This meal is vegetarian, but can easily be made vegan by just leaving out the cheese and eggs. Recipe below the pic. Enjoy! Wash and dry the fresh produce. Drain and rinse the beans. Tear the cheese into bite-sized pieces. Quarter the lime. Halve, pit and peel the avocado. Thinly slice the avocado and top with the juice of 1 lime wedge to prevent browning; season with salt and pepper. Trim off and discard the ends of the radishes; thinly slice the radishes. Peel and small dice the onion. Remove and discard the papery husks of the tomatillos; large dice the tomatillos. Pick the cilantro leaves off the stems; discard the stems. In a medium pot, heat 2 teaspoons of olive oil on medium-high until hot. Add the onion and as much of the spice blend as you’d like, depending on how spicy you’d like the dish to be. Cook, stirring occasionally, 2 to 3 minutes, or until softened and fragrant. Transfer half the cooked aromatics to a small bowl. 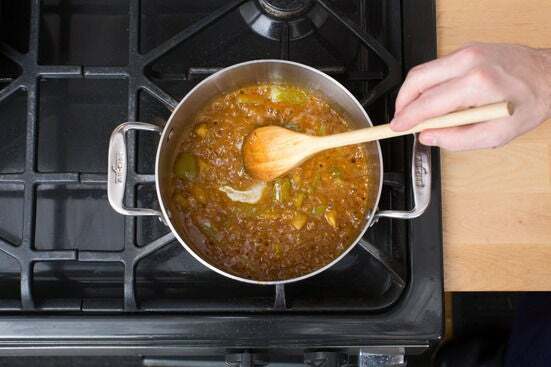 To the pot of remaining cooked aromatics, add the tomatillos and ¼ cup of water. Cook, occasionally smashing the tomatillos with a spoon, 11 to 13 minutes, or until thickened and saucy. Remove from heat and stir in the juice of 1 lime wedge; season with salt and pepper to taste. Once the salsa verde has cooked for about 5 minutes, in a large pan (nonstick, if you have one), combine the beans, reserved cooked aromatics and ¼ cup of water. Cook on medium-high, stirring occasionally, 2 to 4 minutes, or until the beans have softened; season with salt and pepper to taste. Transfer to a bowl. 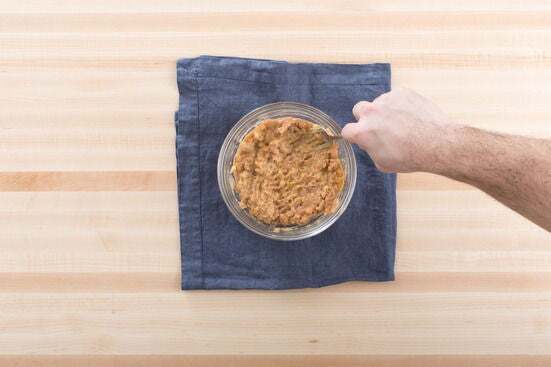 Using a fork, smash the cooked beans. Wipe out the pan. 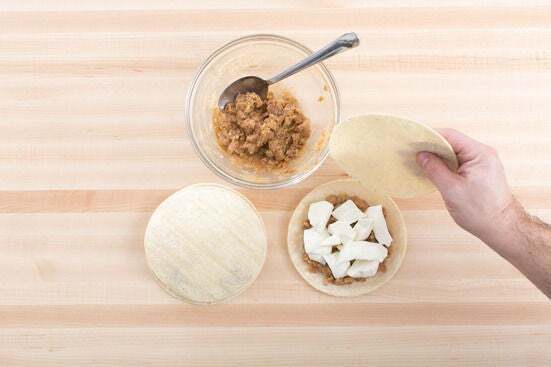 Place the tortillas on a clean, dry work surface. Divide some of the beans (you will have extra) and the cheese between 2 of the tortillas; top each with one of the remaining tortillas. In the pan used to cook the beans, heat 2 teaspoons of olive oil on medium-high until hot. Carefully add the quesadillas and cook 3 to 4 minutes per side, or until the tortillas are crispy and the cheese has melted. 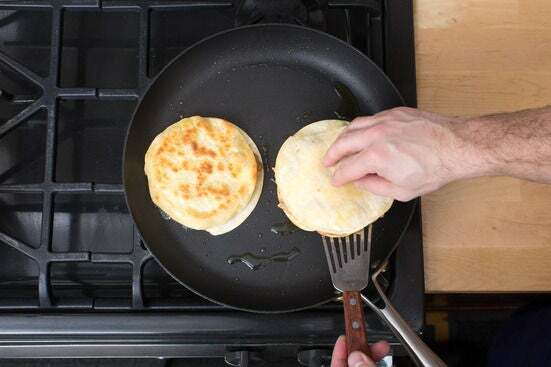 Divide the cooked quesadillas between 2 dishes, top with sea salt and set aside in a warm place. Wipe out the pan. In the pan used to cook the quesadillas, heat 2 teaspoons of olive oil on medium-low until hot. 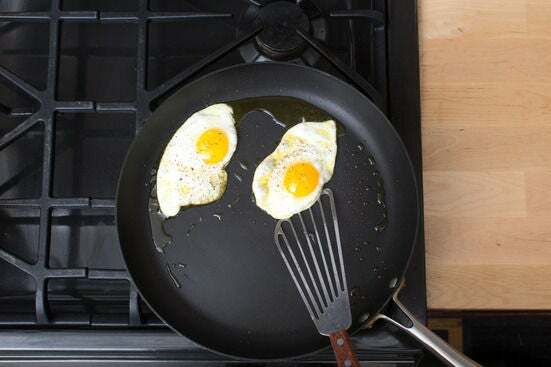 Crack the eggs into the pan, keeping them separate. Cook 1 to 2 minutes, or until the whites are set and the yolks are cooked to your desired degree of doneness. Season with salt and pepper. 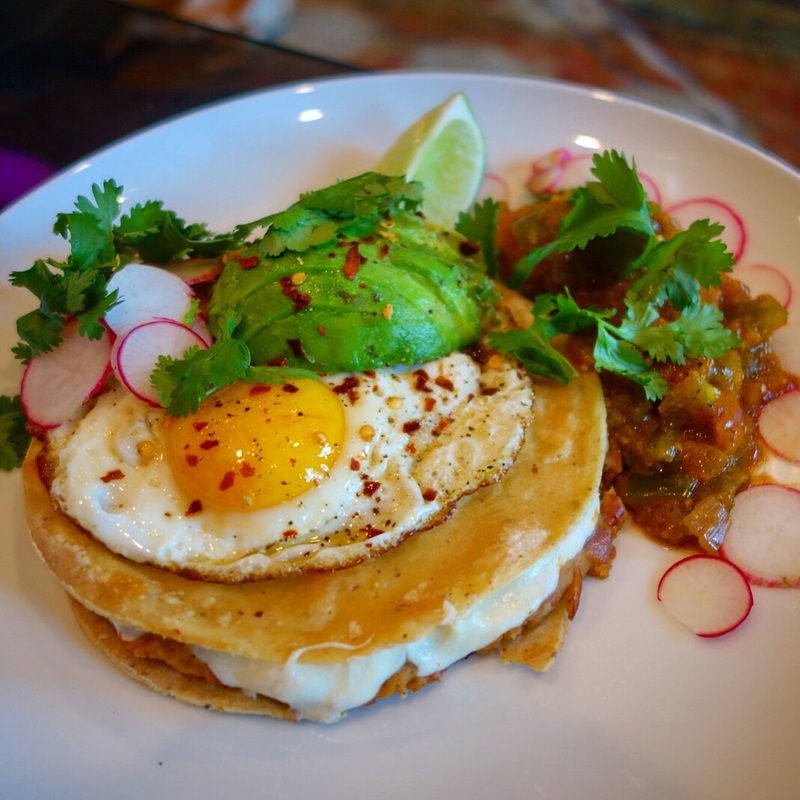 Top each cooked quesadilla with a spoonful of the remaining beans and a fried egg. 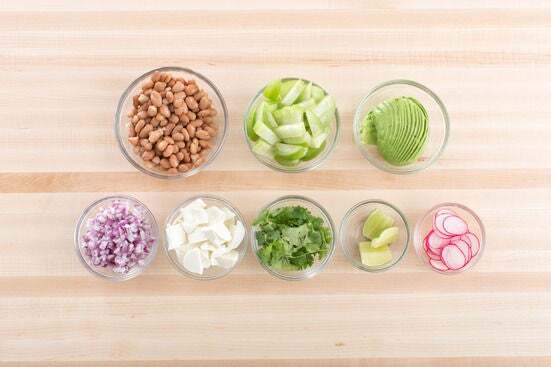 Garnish with the avocado, radishes, cilantro, salsa verde and remaining lime wedges. Enjoy!